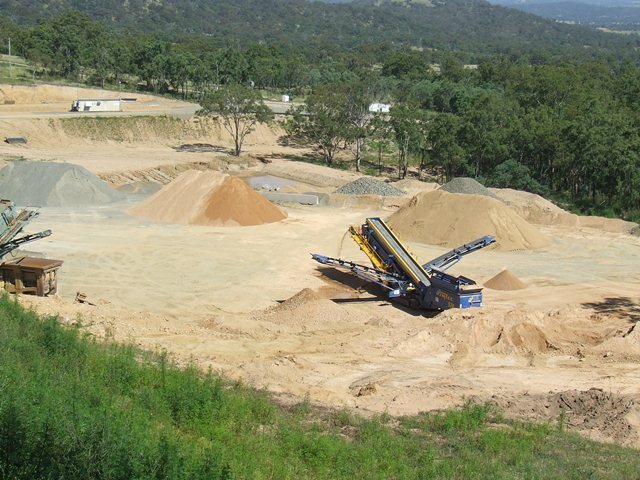 Braeside was first established in 2007 as a small hard rock (hornsfel and granite) and deco (decomposed granite) quarrying operation to supply products to the local area, it has since grown to a medium sized production quarry, supplying quality products to local council, state government projects and many private contractors. The success of our quarry has been built on proven performance, high quality products, safe work practices and highly motivated management and employees. Our products are of a high standard and can be tailored to suit the customers’ requirements and a number of products are manufactured to meet Australian standards and main roads specifications and with the use of professional contract transport can offer a wide range of quality assured materials delivered to your door.